Naturals & Organics Naturals & Organics – McGough's Inc.
Natural and organic products are becoming increasingly popular. We carry many natural and organic products including fertilizer and amendments, insecticides and fungicides, wildlife control, and garden seeds. Espoma. One of the most recognized and recommended product lines in the retail lawn and garden industry. That is because Espoma has consistently given generations of gardeners superior results for over 75 years. Every ingredient in every product is the purest, finest grade obtainable. No sludges, hazardous or toxic materials are ever used. In addition, each product is manufactured in Espoma’s plant, under supervision, and held to strict quality control standards. Quality is guaranteed. Whether your pest or plant disease problem occurs in your house, your vegetable garden, or your backyard, we at McGough’s understand our customers’ concerns with using chemicals and pesticides around children, pets, the foods we eat, or our water sources. To assist our customers in eliminating harmful, destructive, or just plain bothersome insects and diseases in an environmentally sound manner, we offer a broad range of organic and natural-based products. A natural, microbial insecticide for control of leaf chewing worms like tomato hornworms, cabbage looper, tent caterpillar, gypsy moth and others. For use on vegetables, fruits, ornamentals and shade trees. Non-toxic to humans, pets and beneficial insects. Safe for use on ornamental foliage plants, flowering plants, fruits and vegetables, nuts and berries. Kills aphids, mealy bugs, spider mites, and whiteflies. Can be used indoors and up to day of harvest. A dust formulation containing bacteria (Bacillus Thuringiensis). A highly effective biological insecticide for imported cabbageworm, grape leaf folder, hornworm, and sod webworm. Contains Spinosad .5% Controls the tough Colorado Potato Beetle larvae, as well as selected Leaf Beetle larvae and adults – naturally. Use 1 – 2 oz. /gal. on 1,000 sq. ft. For organic production. Superior type Paraffinic oil that may be used as a growing season spray, dormant spray (no leaves), or delayed dormant (green tip) spray to control overwintering eggs of red spiders, scale insects, aphids, bud moths, leaf roller, red bug, codling moth, blister mites, galls, whitefly, mealy bugs, and other insects. Made from the ground fossils of prehistoric fresh water diatoms. 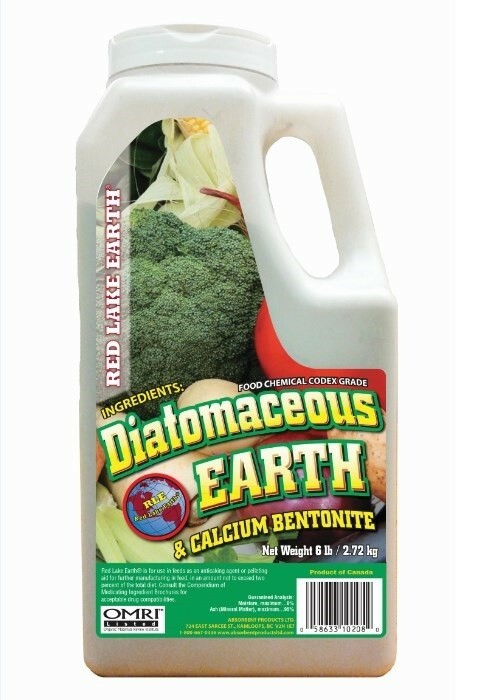 Non-toxic diatomaceous earth kills household and garden pests and insects and does not create resistance in pest populations. Both fungicidal and insecticidal properties to control Black Spot, Powdery Mildew, Spider Mites, Aphids, Whitefly, and more. Use on roses, houseplants, ornamental trees and shrubs, fruit & nut trees and vegetables. 100% OMRI Certified Organic. Copper Octanoate controls early and late blight, leaf spots, downy mildew, anthracnose, rust, and other fungal diseases on vegetables, flowers, ornamentals and fruits. Won’t burn plants and approved for organic gardening. Milky Spore is a naturally occurring host specific bacterium. It targets and attacks the white grubs of Japanese Beetles. Milky Spore begins working upon application wherever grubs are feeding. Complete control can be achieved between 2-4 years. Once established in your lawn, Milky Spore can provide 15 to 20 years of grub control. 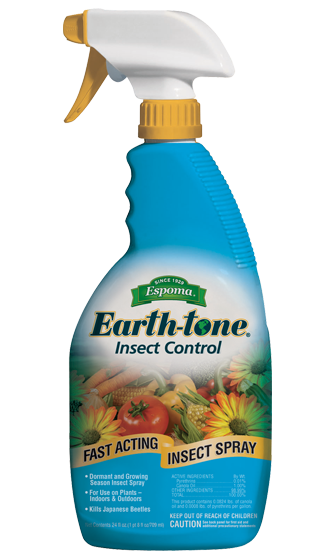 Kills snails and slugs with iron phosphate, a naturally occurring material. Organic – breaks down in safely used around domestic animals and wildlife. Labeled for use in vegetable gardens. SLUGGO remains effective after rainfall or sprinkling. 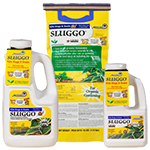 SLUGGO Plus adds the power of spinosad, a natural bacteria toxic to insects, to eliminate a wider range of harmful insects. 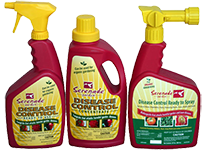 SERENADE Garden and Lawn Disease Control is a broad spectrum, preventative bio-fungicide recommended for the control or suppression of diseases in many plants, fruits and nuts, in addition to annual and perennial bedding and potted plants and flowers, and roses. Can be applied up to and including the day of harvest. Espoma, recognized for quality and environmentally friendly fertilizers and amendments, offers effective solutions for disease and insect control. Products are labeled for safe use in flowers, vegetables, fruits, and ornamentals, and in most cases, can be used up to the day of harvest.